Employers added a robust 222,000 positions in June while the jobless rate stayed low, at 4.4 pct. At the same time, opioid usage and extensive incarceration have kept many males in their prime years out of the workforce. Wiser policy decisions could help bring them back. A "Now Hiring" sign hangs on the door to the Urban Outfitters store at Quincy Market in Boston, Massachusetts September 5, 2014. 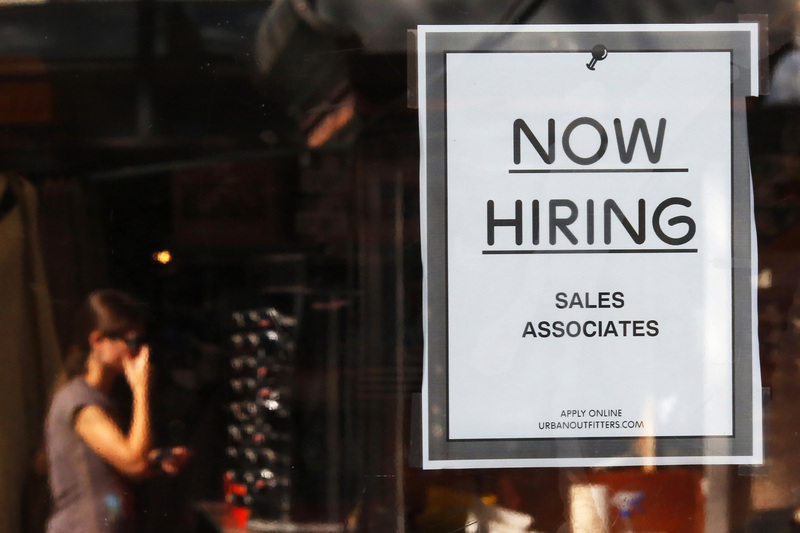 The U.S. economy added 222,000 jobs in June while the unemployment rate ticked up to 4.4 percent, the Bureau of Labor Statistics said on July 7. Economists surveyed by Reuters on average had been expecting a gain of 179,000 positions. Average hourly wages increased by 4 cents to $26.25 in June, while the labor-force participation rate rose slightly to 62.8 percent. Job additions also were revised upward for April and May by 47,000 positions.